We’re so happy to share some big news, Mattermark has closed its Series B round of financing. We raised $7.3 million in new equity investment from Foundry Group and Jon Hallett, with participation from our existing investors. This is the second equity round for the company, which is now valued at $42 million, and brings our total funding to $18.4 million. It’s been an incredible adventure; from shutting down Referly and restarting as Mattermark, launching with a 12-week old prototype, going from nothing to $500K of ARR in our first 6 months, to raising our Series A and generating nearly $300K/month today. While the company is not yet cash-flow positive, with gross profit margins greater than 80% and a clear growth path to break even this round strengthens our balance sheets and enables us to take greater control of our destiny. Mattermark has evolved from a research database for startup investors into full sales intelligence platform with a lot of power. The team has grown to 50 incredibly talented and thoughtful people, and we’ve collected more than $5 million in revenue to date. 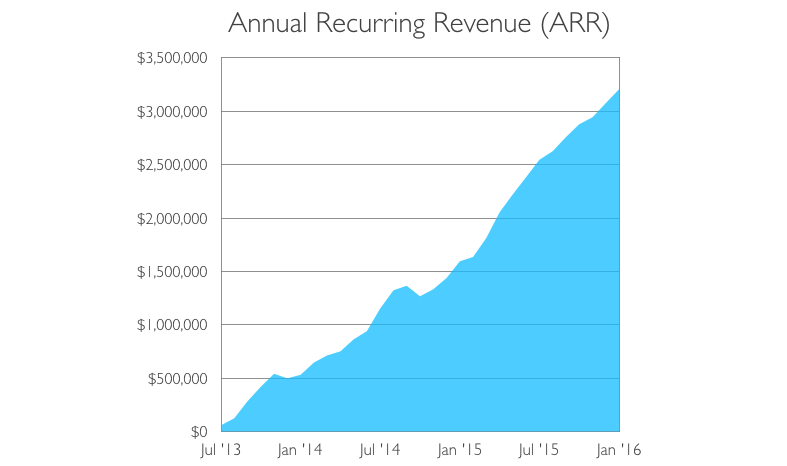 Last year, revenue grew 140% from $1 million in 2014 to $2.4 million in 2015 and we ended the year with an ARR run rate of more than $3 million. Today we serve more than 500 customers including top-tier private equity and venture capital firms, Fortune 500 companies, prominent sales and marketing organizations, and other service providers. Mattermark enables the discovery, qualification, and enrichment of leads for a diverse set of deal makers including startup investors, corporate development, marketing and sales professionals. This includes comprehensive information about companies, investors, and team members as well as similar company recommendations and time series data providing objective signals of the growth such as like brand footprint, employee count trends, news coverage, and funding history. “Quickly finding the right information is critical for web users in many professions,” legendary venture capitalist John Doerr quipped in Google’s 1999 funding announcement. Seventeen years later, there’s still a lot left to be done in search to unlock the web for modern professionals. At Mattermark we believe in a software-first approach to building B2B search, employing several key technologies including distributed web crawling, deep neural networks, and natural language processing to automatically generate a directory of company information collected through large-scale data mining of the public Internet. Mattermark meets users wherever they get work done; on the web, as a browser extension, mobile application, developer API, and integrations with popular productivity tools. We don’t understand why your CRM comes empty. We don’t think our equivalent of a search engine results page will look anything like search today, or that it even necessarily needs to live on our website. We bring data to answer business questions in the contextually-relevant format users need, wherever they get work done, making it easy to combine data from the public Internet with users’ proprietary sources. The opportunity to transform corporate sales is enormous, and the ubiquity of unstructured “data exhaust” scattered across the public Internet and organized by Mattermark will arm dealmakers with the crucial information they need to personalize conversations as they forge new relationships. From day one we knew that data, while important, would never be enough to truly move the needle for customers when it comes to improving their sales prospecting results. We’re obsessed with understanding the workflow of our customers and offer one-click integrations with popular complementary sales tools like LinkedIn and Salesforce, spreadsheet connectors for Microsoft Excel and Google Sheets, and a robust REST API that enables software developers to create custom solutions built on top of Mattermark. Recipients of modern marketing automation are overwhelmed by cold outreach that is not targeted or personalized. Not only do these “spray and pray” outreach programs annoy prospects, they yield lower quality meetings for salespeople whose productivity is ultimately constrained by the number of hours they can spend in conversations with prospects. With Mattermark, outbound efforts can be tailored to generate win-win conversations where the buyer’s offering and the seller’s need are aligned, and pre-call research is automated with lead enrichment. This is a vision for the future of sales that is already coming true. In a recent case study, business intelligence software company Looker saw a 30% increase in both leads and accounts after using Mattermark for just one quarter (read the Looker case study). There’s always more work to do, and there are no shortcuts when it comes to building an un-killable SaaS company. With this additional funding we have the resources it takes to build something special and change the way business people ask and answer their most important questions online. With 500 customers, a world class team, and the support of visionary investors, awesome customers, and smart readers in the broader tech community who are hungry for intelligent content and deeper understanding the future is bright for Mattermark. Start your free 14-day trial of Mattermark today!